Henley Honda | Honda Guide | Go Green with Honda Hybrids! 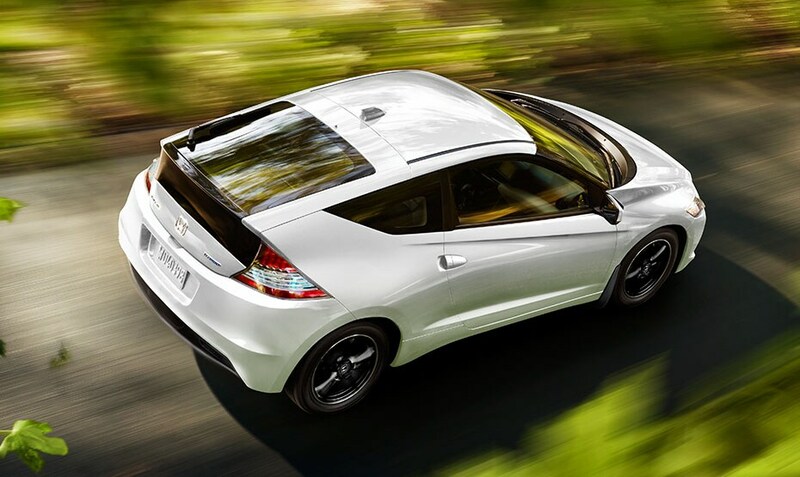 Go Green with Honda Hybrids! When it comes to buying a car these days, fuel efficiency and low emissions are at the top of everyone’s “must-haves” lists. Honda vehicles have always been at the top of the game in these areas, but we knew there was more we could do to make our drivers happy and help the planet. That’s why, in 1999, we introduced our first generation Integrated Motor Assist Engine. That’s right; we were doing Hybrids before everyone was asking for them. Honda’s Integrated Motor Assist system is comprised of five main parts that work in unison with an array of sensors that relay information to ensure the engine is working at its most efficient. The system consists of a low-friction, gas engine, an electric motor, a nickel-hydride battery, a continuously variable transmission, and an intelligent power unit, which directs the operation of the electric motor. The system is known as a parallel hybrid, which means the gas engine supplies the main power for the vehicle while the electric motor lends a hand during acceleration. Instead of revving the way a traditional engine does, the IMA, using power from the nickel hydride battery, supplies instant torque to provide swift acceleration from a standstill, as well as a power boost on the open road. The nickel hydride battery is automatically charged during deceleration as the Variable Cylinder Management system converts energy normally lost as heat into electric power to be stored when the vehicle speeds up, a process called Regenerative Braking. Because the gas engine isn’t doing all the work, as in traditional vehicles, it isn’t burning as much fuel, resulting in fewer harmful emissions and less stress on your wallet. 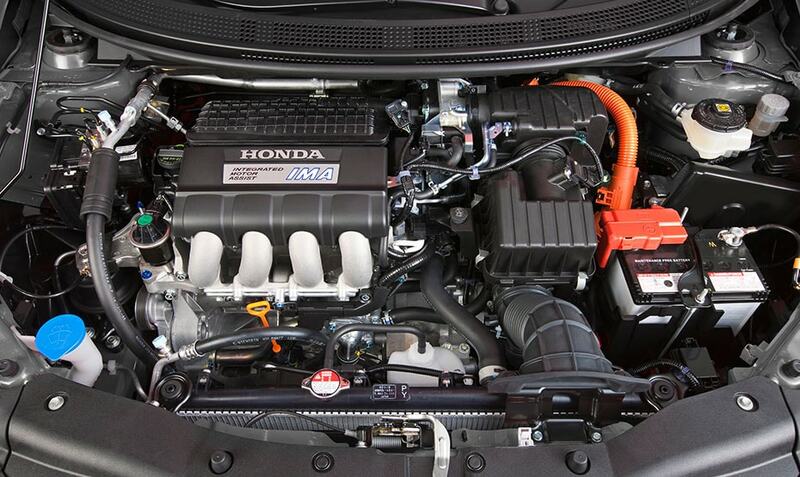 Honda hybrids also reduce fuel usage through Idle Stop Technology, which shuts down the engine in most stop situations. As a result of these innovations, the current 2014 hybrid offerings from Honda have an average combined fuel economy of 4.7L/100KM! That’s noticeably better than even our most fuel efficient gas engine vehicles! We also know that fuel efficiency is impacted not only by technology, but by driving habits as well. That’s why we developed the ECO Assist™ system, a visual system integrated into your vehicle’s dash that provides feedback to help you drive more efficiently. You can learn more about the ECO Assist™ system from one of our earlier blog posts! See the technology for yourself! Integrated Motor Assist has been available since 1999, starting with the Insight. Since then, we’ve continued to develop our fuel savings and eco-friendly technology and are now able to offer hybrid versions of the Accord (since 2005), the Civic (since 2003) and the CR-Z. Want to see, hear and feel the difference IMA and ECO Assist™ technology makes? Contact Henley Honda today to book a dynamic test drive of any our exceptional vehicles!